Pullman brick | That Belongs in a Museum! I bring forward… a brick. […] This is a special brick. 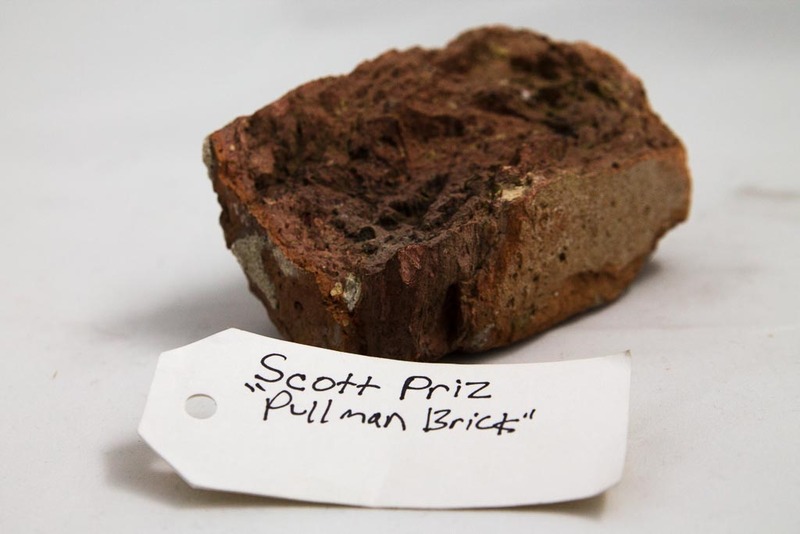 This brick, technically, is stolen… This brick was stolen from the Pullman factory down in Pullman Town. […]My name is Scott Priz and my [great-great] grandfather’s name was Edward Prizbarowski, he was a Polish communist who in about 1890, was captured by the Czar sent to Siberia, escaped from the Gulag, made his way to Finland, and stowed away on a boat to Chicago where he worked in the Pullman Factory as a cabinet maker. […] I would say it belongs in the Museum of Stolen Objects! (That really belong to the thief).